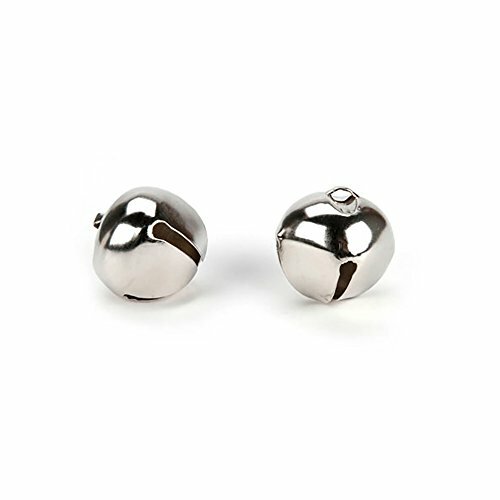 Silver jingle bells measure 0.5 inches each in size. Add joyful sounds to the holiday season with these jingle bells. Perfect for home decor projects, napkin rings, decorative wreaths, jewelry pieces, gift wrapping, and more. Hear the jingling chimes when they are used to adorn things that move, like door decorations or a dog collar. There are 144 pieces per package. Perfect for home decor projects, napkin rings, decorative wreaths, jewelry pieces, gift wrapping, and more!